FBANC and the AABA In-House Committee will host a speaking engagement with Olga Mack. Please join us for a conversation about the opportunities and challenges of pursuing a corporate board position. 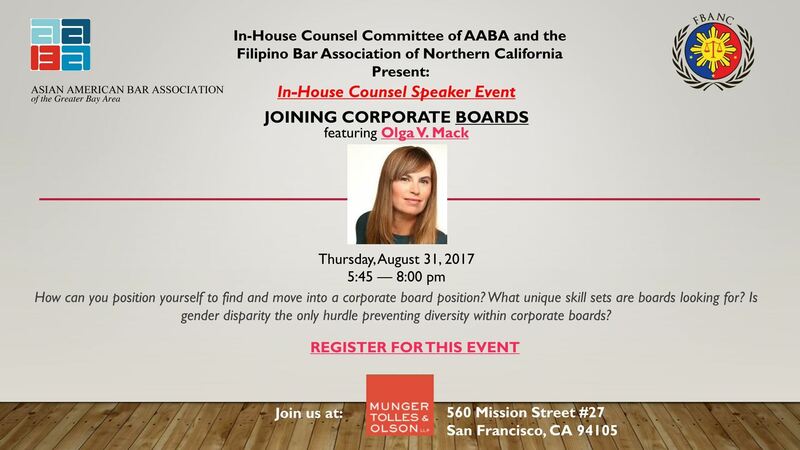 This event will address the gender and cultural disparity on corporate boards. This event is for in-house attorneys only.